The Speech Wizard was founded by Shawn Manvell, a practicing licensed Speech-Language Pathologist, who has been a leader in the industry for over 15 years. Sought after for consultation and public-speaking engagements nationwide, Shawn has lectured in a variety of educational, medical and community settings on such topics as AAC and children with communication needs, iOS Apps for Communication Skills, and iPad Basics and Navigation. Recognizing the connection between confident communication and educational success, Shawn initially developed the Speech Wizard Apps as a means to reach children with limited access to speech and language services. 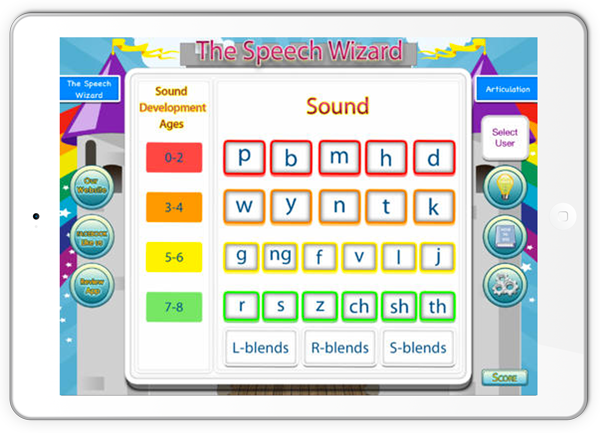 The mobile nature of these apps help children everywhere build skills and confidence in their abilities through fun and engaging activities, making the Speech Wizard Apps a go-to tool for speech therapists, parents, and teachers worldwide.